Paris Baguette cake prices vary widely. This is to be expected based on the wide array of cake designs and models. Basic cakes are from $28 to $35, and the elaborate works of art run upwards of $70 to $130. Paris Baguette cakes aim to retain the signature taste of France, and at the same time supply demand for classic traditions. Whether the occasion calls for a graduation cake, a birthday cake, or even a baby shower cake, Paris Baguette has something flavorful and unique. Paris Baguette cakes can be ordered online, by phone or on site. Likewise, there are options for delivery to home or office, or you can arrange to pick up your order. Finally, enjoy a piece of cake as a restaurant-style dessert. Menus from all over the United States can be found in their various catalogs. Paris Baguette cakes are made to look beautiful as well as taste delicious. Many of their cakes are known for lavish fruit toppings. Their popularity and signature style is enhanced further by unique shapes and intricate designs. Wedding, birthday, graduation, and baby shower cakes fall under the special cakes section. 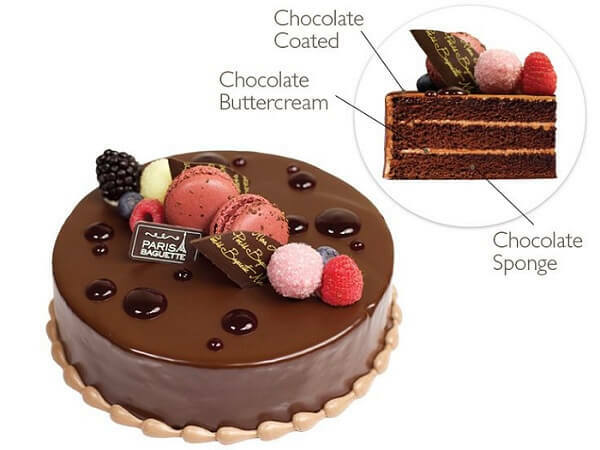 Paris Baguette retains the integrity of the designs on most of their cakes, so customization is limited. They can, however, incorporate themes, messaging, colors, and flavors specific to a client’s taste. 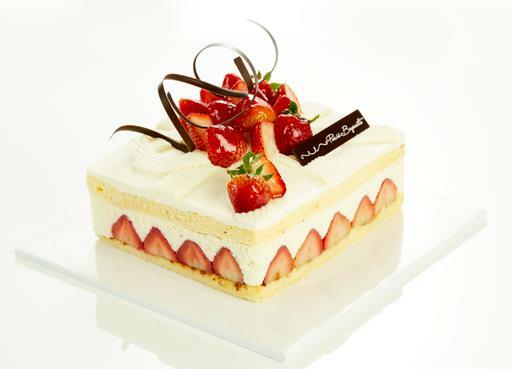 Paris Baguette offers cake models that vary slightly between east and west coasts locations. Paris Baguette promotes good quality, convenient service, and great taste at a reasonable price. Ordering online is through their website or app. Paris Baguette does not have a dedicated birthday cake, but several cakes would fit this niche. For instance, Paris Baguette cakes adorned with fruits are attractive because of their bright colors. They visually appeal to children and adults alike. A Paris Baguette cake invites a festive atmosphere. Often the birthday message is presented on a sign since the cake itself is not modified. Not only that, the tendency towards fruit toppings precludes much writing or drawing on the cakes. Birthday cakes from Paris Baguette are commonly theme-based and can be gender specific. A crowd favorite is the strawberry fest, which runs $120. The chocolate Ganache two tier cake is $70 and serves 20 people. The bakery also offers love candles. 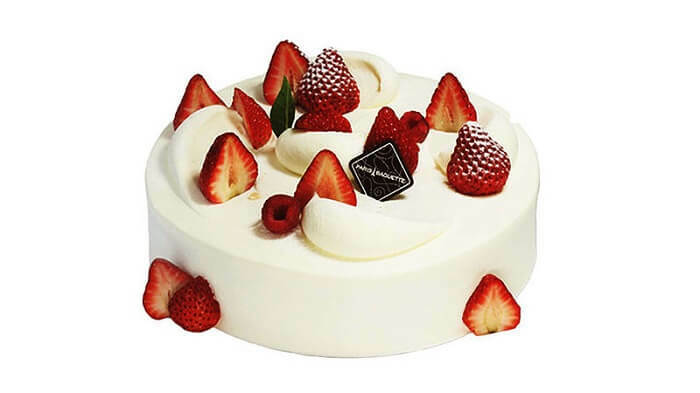 Paris Baguette bakes exceptionally moist and rich cream cakes which are popular selections for baby showers. Many of the Paris Baguette cakes are rich in fruit toppings, and the cakes sold for baby showers are no exception. For baby showers, however, macaroons and mangos may replace the more common berries to give the cakes a sophisticated style. Baby shower cakes may also present a theme specific to the client. Clients can choose whether a cake reflects the arrival of a boy or girl. Similar to birthday cakes, baby shower cakes run from $70 to $120 for a large party. A sweet bear chocolate fresh cream cake at $34 might do fine for a small gathering. 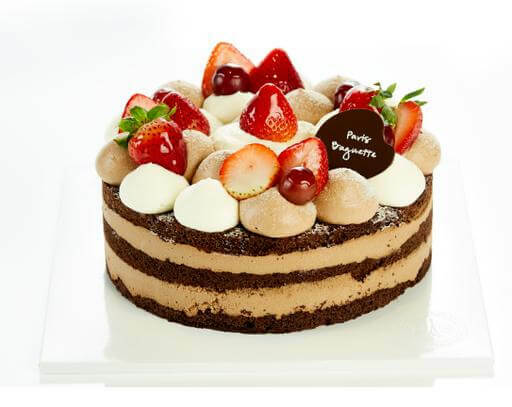 Paris Baguette carries their tradition of delectable and beautiful cakes to the graduation realm. Quality does not suffer when demand calls for a cake large enough to serve impressive crowds. Flavors and decorations alike are suited to each client; light and fresh is often the prevailing theme to match the season. As an additional convenience, graduation cakes can be purchased in four sizes, including mini. Paris Baguette breaks their prices down according to serving size. Fifteen servings are $70; 20 servings is $100; 30 servings is $130 for the mixed berry garden cake. Paris Baguette truly knows how perfect a wedding cake needs to be. Although they do not carry wedding cakes in the traditional sense, they do create wedding cakes to order. Clients can choose how many tiers their cake will have and even if the tiers will match in flavor. Some may choose to alternate tiers with complementary, rather than identical, flavors or colors. Clients can stray from the classics completely and choose different shapes or layers. A moment filled blooming cake is a great choice and serves 35 to 45 people. This particular cakes costs from $200 to $350. You can order Paris Baguette cakes online or via phone. Either way, Paris Baguette requires you to order their special occasion cakes two weeks in advance. They have a very simple online ordering process that matches you with the store closest to your location. Once they have matched you, they offer in-depth online menus, hours of operation and address. There are online order forms on their websites. Paris Baguette is fairly prevalent across the United States. They are renowned for convenient service, genuine French cuisine and beautiful cakes that branch out from expected norms. Find a location near you for your next big celebration, or visit online to peruse their gorgeous selection of cakes.